Creditors of Mriya agroholding have given their consent to reduce the company's debt by 70%, to $330 million and, after debt restructuring, they would receive 50-54% of the share capital. According to a press release of the agroholding issued on Monday, its debt portfolio restructuring conditions ($1.1 billion) have been approved by coordination committees of creditor banks and Mriya's noteholders. After the debt restructuring, 100% of share capital of Mriya will belong to creditors and managers: 31-35% to providers of working capital for 2016, 7.5% will belong to providers of working capital for 2015, 7.5% to top managers as a motivation package and 50-54% to unsecured creditors. After implementing the key restructuring conditions, the total debt of Mriya decreased to the feasible debt budern - $330 million. It will consist of restructured secured loans (no more than $75 million), new working capital ($46 million), payment for providers (no more than $112 million), leasing programs ($5 million) and so-called Loan A – the restored unsecured debt ($93 million). The balance of existing unsecured loan will be changed into a tool similar to share holdings (Loan B) that would allow unsecured creditors and providers of the working capital to have control over the share capital of Mriya. Mriya's managers said that the total return rate for nominal unsecured loans could reach 25-45% in four or seven years in addition to potential revenue after court hearings. 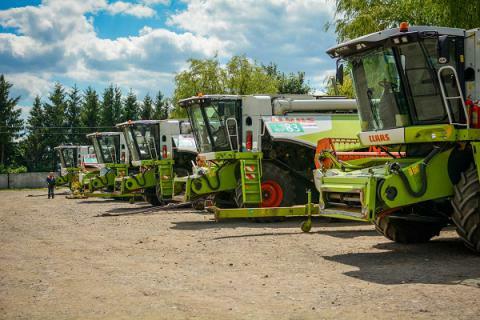 Mriya is a leading agricultural producer in Ukraine focusing on crop cultivation. Today Mriya had 218,000 hectares of land under management.